Why have a MAGICIAN AT YOUR wedding? A magician at your wedding really breaks the ice during the drinks reception. Some of your guests may have never have met each other before, but after seeing some amazing close-up magic, they suddenly have something in common and something to talk about. Having close up magic also gives your photographer some great opportunities to get some really natural shots of your guests looking relaxed, having a great time and enjoying themselves. When is a good time for close up magic at a wedding? While the bride and groom are having their pictures taken, during the wedding breakfast and during the evening reception are all ideal times for a close-up magician to mix and mingle amongst your guests. A magician can entertain roughly 100 guests in a 2 hour period. An hour of mix and mingle during the drinks reception, and an hour or so of table magic during the meal is Martyn’s most requested time slot. I have a wide age range of guests at my wedding, who is the magic best for? Close-up magic is appealing to any age group from 7 to 107 (after 107 they lose interest). Martyn is able to tailor his magic to suit the group he is performing so it can be enjoyed by the teenagers and grandma alike. His style is relaxed and fun, and he does not perform any material that may cause offence to anyone – unless requested. It's not suitable for very young children, but if you do need a specific Children's Entertainer Martyn will be happy to recommend someone. Is it best to use a member of The Magic Circle? In order to become a member of The Magic Circle you are required to take an exam, therefore any member of The Magic Circle should have a good grasp of magic. However, when it comes to magic at a party or wedding, you need someone who has excellent magic skills and is also personable, polite, reliable, entertaining, smartly dressed and above all experienced – unfortunately these are not all included on The Magic Circle’s score card (the smartly dressed one is - sort of.) Martyn has been performing professionally since 2001, and has a wealth of experience. By far the best way to find a great magician is by personal recommendation, reading testimonials or speaking to clients that have used them before. Some of Martyn’s testimonials can be found here, and if you would like contact numbers for previous clients, please get in touch. 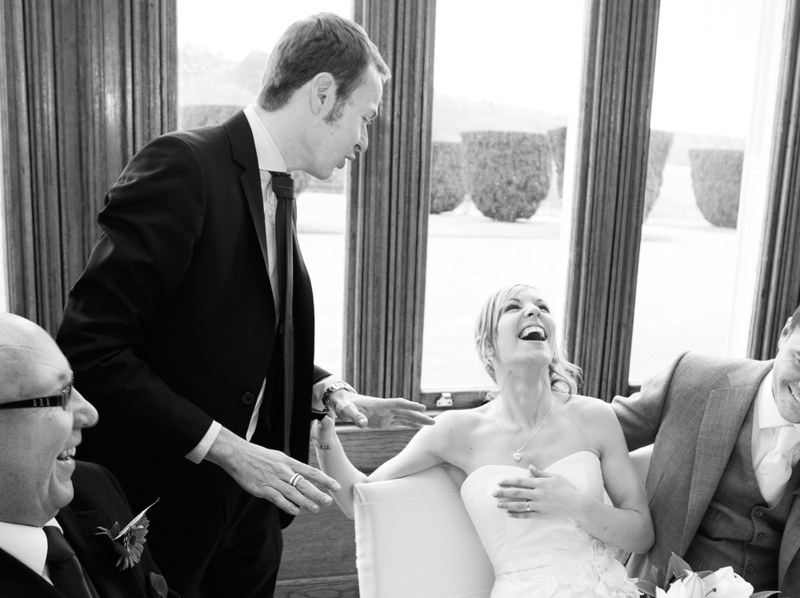 Quite often, simply by speaking with the magician themselves on the phone, you’ll get a surprisingly good idea of how competent they are, and how suitable they will be for your wedding – so give Martyn a call on 020 7193 0707 and have a chat. What if Martyn is not available? If it’s not possible to change the date of your wedding to suit Martyn’s diary he will happily recommend another performer. Although there are hundreds of magicians in the UK, there are only about 6 or 7 that Martyn would personally recommend. They are all magicians that he works with on a regular basis and are of an excellent standard. Some magicians insist on it, Martyn does not. To check Martyn’s availability and get a price for your wedding please give him a call. "Your presence and performance at the wedding was simply spectacular"
"You were the biggest of hits. Thank you once again." "I had loads and loads of people coming up to me at breakfast saying how fantastic you were..."
"You bemused, amazed and won over everyone. My Mum said it was the best bit of the reception"
"Thanks again, it really did make our day absolutely perfect." "Our guests absolutely loved it!"